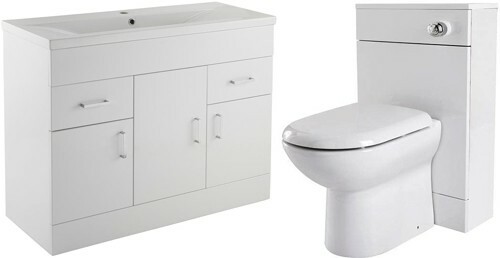 Premier Eden > 1000mm Vanity Unit Suite With BTW Unit, Pan & Seat. 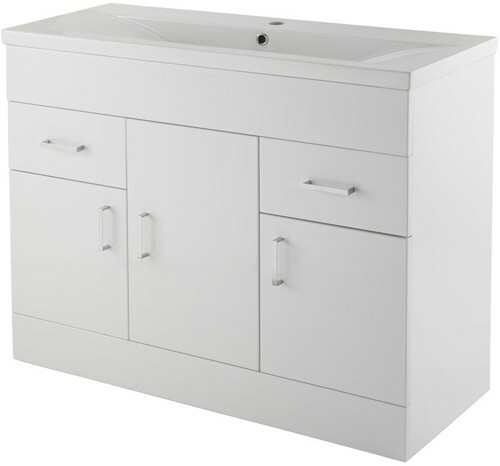 Eden minimalist vanity unit in white with doors, drawers, ceramic basin, back to wall unit, pan, cistern and soft closing seat. 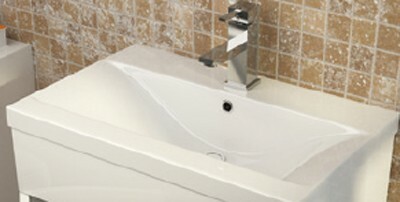 1000mm Ceramic basin (1 tap hole). Rigid backboard and soft close doors in strong 18mm MDF. Vanity unit size: 1000W x 400D x 800H mm. 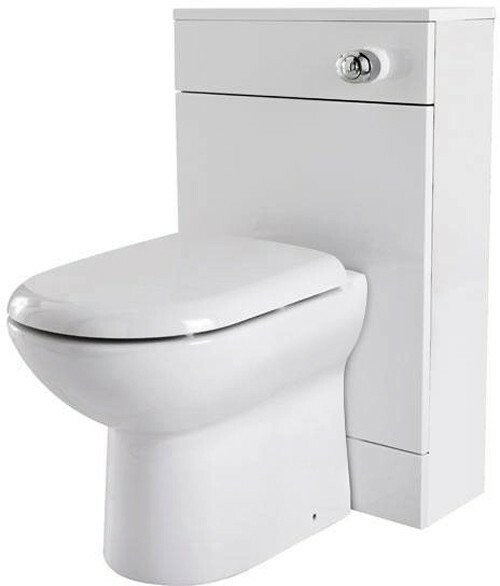 The Premier Eden range of bathroom furniture offers minimalistic good looks, strong build quality and great value for money.